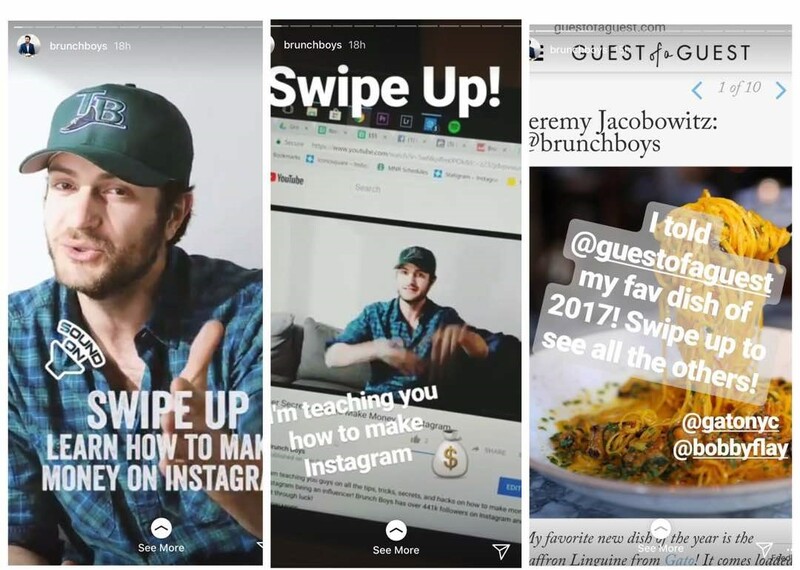 Are you wondering how to get your brand on the top of the Instagram Story Viewer list? Or perhaps you wonder why your personal viewer is ranked a certain way. Today, I’m going to tell you exactly how and why Instagram places your story viewers in the order that it does. Over the past year, Instagram has made many algorithm changed to improve the user experience. Allowing a tailored feed based on the user’s likes, interactions, and engagement. This meant removing the timely posts in our feed to popular posts. The people who appear at the top of your viewers list are the people who you interact with the most, not the other way around. As you can see in the top right hand corner I LOVE lucky leo dancewear. It has more to do with your activity than your followers activity. The algorithm is curating a personalized feed by recognizing who you’re interacting with the most. This tells Instagram that this is the content you are most interested in therefor that is what will show up first on your Instagram Story Viewer? Why? They want to keep you on the platform for as long as they can. Your feed is based on your activity, not theirs. Seems simple right? Just like a movie your story should tell a sequence of events for users to follow along with. Exciting stories that keep us coming back for more have a plot structure. You need to give the user a reason to come back and view the rest of your story. What will your story reveal? Plot diagram thanks to Story Board That. 2. Post Often and in Peak Times. Posting frequently throughout the day keeps your story at the top of user’s feed and posting when your users are most active will ensure more views for your story. To see the best times for you to post check out the analytics on your Instagram account. You will need to have a business profile in order to have this feature enabled. The insights are worth it! Social media is about being social! Mention you’re followers or tag influencers. Post get 56% more engagement when they tag others! Just make sure it is relevant. There is nothing worse than being spam tagged all the time. Here is an example of Kapten and Son promoting a giveaways on Instagram stories with Bublebar. 4. Give a Behind the Scene story. Show your followers your day to day life or the daily actions of your brand/business. Airbnb promoted the where are we behind the scenes stories to show case their travel escapes. A poll allowed users another facet to interact and engage with. This will assist with their rankings in Instagram Stories Viewer. Instagram stories gives the opportunity to explain the steps in products, give away free content or special offers. This allows to create 24hr sales that force followers to constantly watch your story for deals. Make sure you use direct links to take your visitor to your call of action. This could be signing up, purchasing or entering a contest. Brunch Boys uses both the “swipe up” function for verified users and the tagging feature by highlighting the restaurants where they eat. With this amazing feature, you can link out to your own hosted content assets or, if you’re an ecommerce marketer, to product pages. Using BigCommerce’s buy button, you can even use an “add to cart instantly” type of call to action. All your followers have to do is swipe up on your stories and get redirected to your preferred URL. Wondering why you don’t have the swipe up link option on Instagram? Read this post to get it! Victoria secret implemented a great Instagram story with a Takeover. Stellamaxwell and yoga teacher bethcooke_flow take over the Instagram channel of Victoria Secret inviting customers to join their yoga session to #trainlikeanangel. Perhaps you want to save Instagram stories from your favorite brands or for inspiration for your own brand. Besides stalking and screencapping you can use Insta Story Viewer. Instagram Story Viewer is a fast way to secretly view and download stories, highlights and profile pictures from instagram. Access the stories of millions of instagram users, and save your favorite stories before they get deleted. We hope you loved our article on The Instagram Story Viewer & How the algorithm works. Feel free to share this post with a friend or pin it! Understand how the Instagram Story Viewer works so that you can incorporate a solid marketing strategy to keep your brand on top of your followers IG story feed. See brands with stellar Instagram Story strategies that you can implement today.